Now that the Oculus Rift is out—at least for some—it’s time to put down the games, take off the headset and tear the thing to pieces. 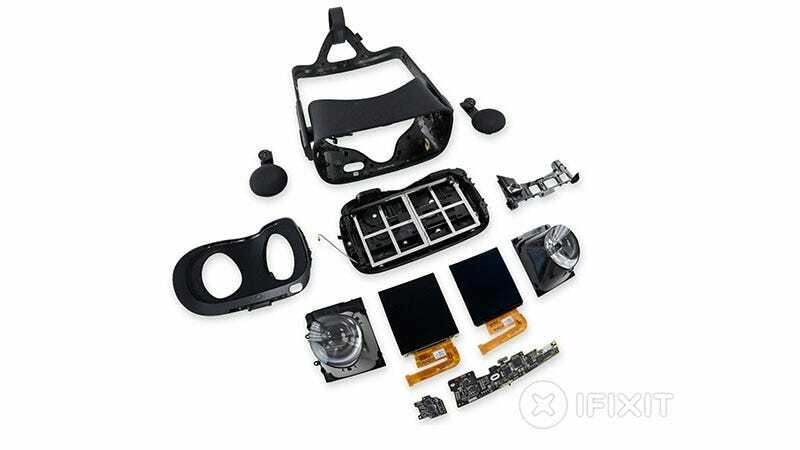 iFixit got their hands on the first consumer release of the VR headset, and it’s a cool breakdown, because it shows the lengths the Oculus team had to go to cram all those chips and cables inside something designed to sit on your head. There’s also interesting chatter on the way the Rift uses special custom-designed Fresnel lenses, which adjust focus depending on when and where you’re looking out of them. You can check out the whole thing—complete with videos and gifs—here.